For other uses, see Herbert Wilson (disambiguation). Herbert Rees Wilson FRS (20 March 1929 – 22 May 2008) was a physicist, who was one of the team who worked on the structure of DNA at King's College London, under the direction of Sir John Randall. He was educated at Pwllheli Grammar School and went on to study physics at Bangor University gaining a first class honours degree in 1949 and a doctorate in 1952 under the supervision of Professor Edwin Owen. Having received a University of Wales fellowship, Wilson joined Maurice Wilkins at King's College London in September 1952. The work involved X-ray diffraction studies of DNA, nucleoproteins and cell nuclei. Prior to the double helix model, their studies showed that DNAs from different sources (including biologically active transforming principle) had essentially the same structure, and confirmed that the phosphate groups were on the outside of the molecule. Three papers were published in Nature, April 1953, to announce a structure for DNA. Maurice Wilkins, Alex Stokes and Wilson published their paper in the same issue as the paper from Rosalind Franklin and Raymond Gosling, and the paper by Francis Crick and James Watson. The 1962 Nobel Prize for Physiology or Medicine was subsequently jointly awarded to Francis Crick, James Watson, and Maurice Wilkins. Unfortunately, in his autobiography The Third Man of The Double Helix, Maurice Wilkins does not specifically credit Stokes, Wilson and several other co-authors of his papers in Nature. Whether this was deliberate on his part or just rather poor sub-editing by OUP is debatable. It is most likely to have been a matter of expedience, as there were more than five co-authors on several of his later papers on the subject published in Nature or, later, in the Journal of Molecular Biology. Nevertheless, both he and Alex Stokes are now recognized at King's College as two of the eight key researchers that contributed to the discovery of the structure of the A-DNA crystalline structure. Following the publication of the double helical structure in 1953, Wilson participated in the refinement of the DNA structure in Wilkins' group. In 1957 Professor Wilson was appointed Lecturer in Physics at Queen's College, Dundee, then at University of St Andrews, became a Senior Lecturer in 1964, and then Reader at the University of Dundee in 1973. In 1962 he was Visiting Research Associate at the Children's Cancer Research Foundation, Boston Mass. 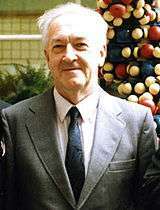 In 1983 he was appointed Professor of Physics at the University of Stirling (now Emeritus). His research at Dundee and Stirling has involved X-ray crystallographic studies of nucleic acid components and their analogues, and structural studies of flexuous viruses. He was awarded an Honorary Fellowship by the University of Wales, Bangor in 2005. As a Welshman Herbert was honored by The National Eisteddfod in Wales by being given the official white robe. After suffering from terminal cancer, Wilson died on 22 May 2008. He was survived by his wife, two daughters, and two grandchildren; his son predeceased him in 1996. Herbert R. Wilson. 1966. Diffraction of X-rays by Proteins, Nucleic Acids and Viruses., London: Arnold publs. Wilkins, M.H.F., Stokes, A.R. and H.R. Wilson.(1953). Nature, 171, 737. Wilkins, M.H.F., Seeds, W.E., Stokes, A.R. and H.R. Wilson.(1953). Nature, 171, 759. Wilkins, M.H.F., Zubay, G. and H.R. Wilson. (1959). J. Mol. Biol., 1, 179. H.R. Wilson. (with Feughelman, M., & Langridge, R. et al.).(1955). Nature, 175, 834. H.R. Wilson. (with Langridge, R. et al.). (1960). J. Mol. Biol., 2, 19. H.R. Wilson. (with Langridge, R, et al.). (1960). J. Mol. Biol., 2, 38. H.R. Wilson. (with Fuller, W. et al.). (1965). J. Mol. Biol., 12, 60. Chomet, S. (Ed. ), D.N.A. Genesis of a Discovery, 1994, Newman- Hemisphere Press, London; NB a few copies are available from Newman-Hemisphere at 101 Swan Court, London SW3 5RY (phone: 07092 060530). Wilkins, Maurice, The Third Man of the Double Helix: The Autobiography of Maurice Wilkins ISBN 0-19-860665-6. ↑ "WILSON, HERBERT REES (1929 - 2008), scientist". Dictionary of Welsh Biography. Retrieved 20 September 2016.